(Segment ⅔) We get philosophical as Joseph Lowery, contributor to The Athletic, joins us again. 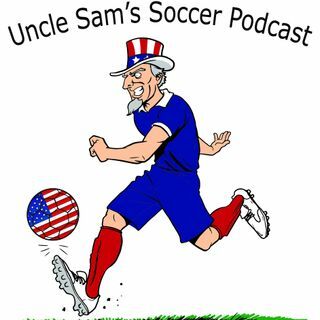 We discuss the meaning of the MLS SuperDraft and whether or not youth can in win in MLS (FC Dallas vs Atlanta model). Go back and listen to segment 1: Joseph Lowery, a contributor to The Athletic, chats with us about the USMNT. We get into Christian Pulisic moving to Chelsea, names to watch in the January camp as the Gregg Berhalter regime ... See More gets into full gear, flaws within the USMNT, and where should Pulisic play under Berhalter.